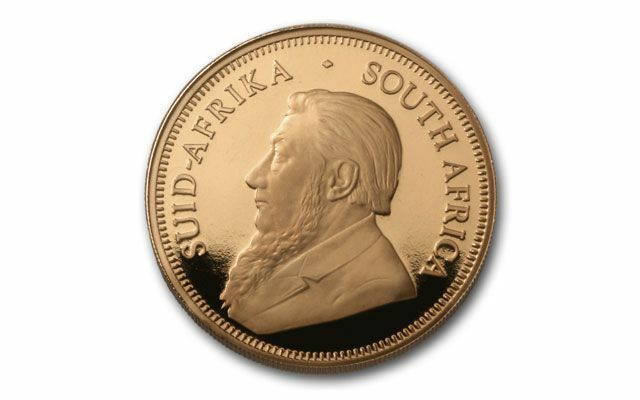 The South African Krugerrand was the world's first modern gold bullion coin and is still among the most famous names in luxury, prestige, and gold beauty. Savvy buyers know that Proof Kruggerands are far more limited and collectible than their bullion counterparts. 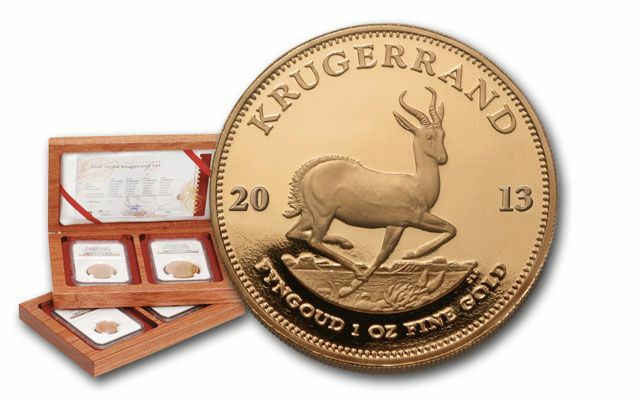 This 2013 4-piece Krugerrand Gold Proof Set is among the most limited ever issued! You see, each of the four Proof Gold Krugerrands within this set has been government certified to be one of the first 300 struck. 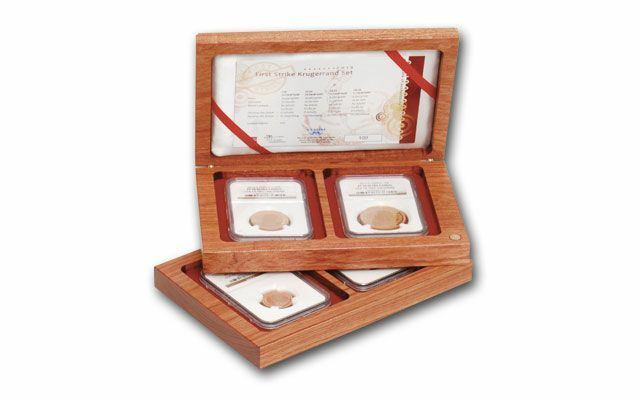 The "First Struck" pedigree appears right on the Numismatic Guaranty Corporation (NGC) label. But, there's more! 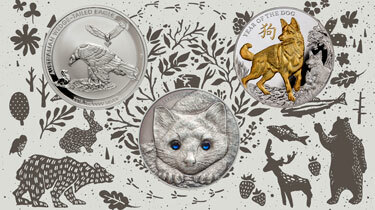 NGC has also certified the coins to be in matching Proof 70 Ultra Cameo (PF70UC) grade. 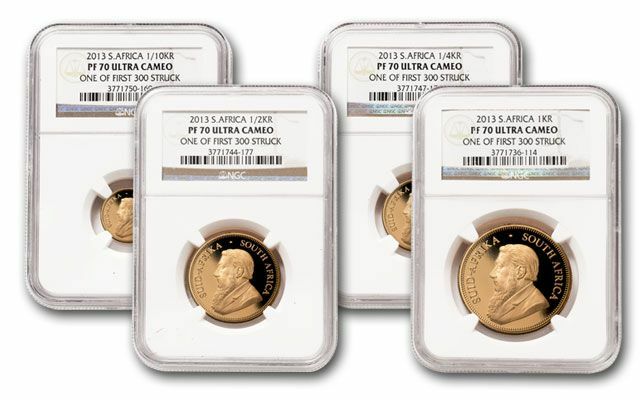 That means that these exclusive 2013 Gold Krugerrand Proof Sets are the top of the line. 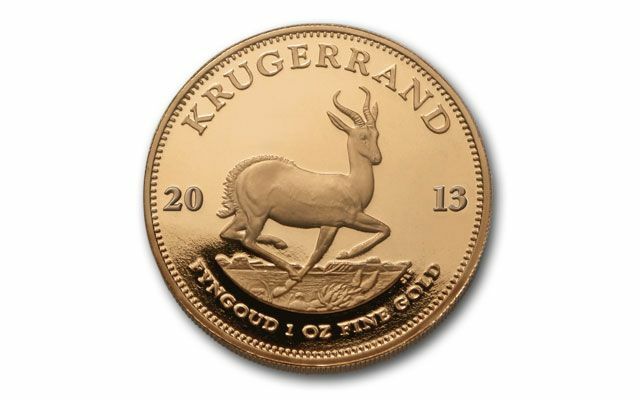 The best of the legendary Gold Krugerrand can now be yours!